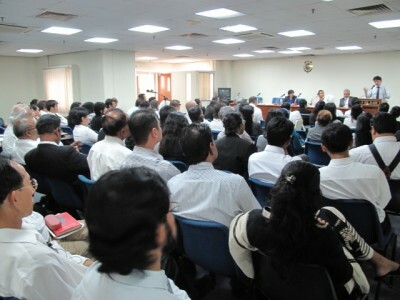 An interested layperson’s thoughts on the “State of the Practice” organised by the Civil Court Liaison Committee of the Kuala Lumpur Bar on 29 October 2010. 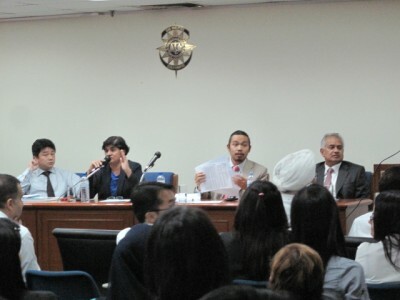 On 29th of October 2010, The Civil Court Liaison Committee of the Kuala Lumpur Bar held a dialogue on the State of the Practice following many complaints from its KL Bar members. I checked my diary and I was free. I observed that all three speakers and the chairperson were friends of mine. I would attend even though I am not a lawyer. I did not realise until later that two Federal Court judges had been invited too: YAA Tan Sri James Foong and YAA Dato’ Seri Md Raus Bin Sharif. I arrived at the auditorium, registered quietly at the entrance and as I entered the auditorium, I noticed that there were a few inquiring glares from already seated lawyers. Who is this fella ah? Never seen him here before! Quite understandable! The first two hours were spent listening to speeches by the three speakers and several disgruntled lawyers (both seniors and juniors) irked by the developments in the state of the practice. I do not intend to reiterate their comments here. I still have the words “killer points” playing in my mind. Any prospective lawyer that attended this dialogue would have been severely troubled and discouraged to pursue his/her ambition. 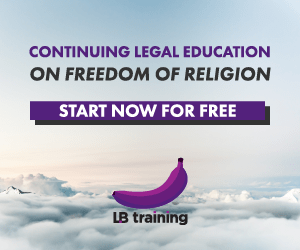 As I listened to one grouse after another, I could see that Malaysian lawyers and judges were facing the same problems as their counterparts in the United Kingdom following the Lord Woolf reforms of the civil justice system of 1999. I was particularly pleased that this dialogue was conducted in an open manner, no holds barred. Those who spoke were from a wide range of backgrounds in terms of area of practice, seniority and areas of interests. However, I humbly felt that a crucial element was missing in this dialogue – the feedback from litigants on the changes. On this score, I have a minor contribution to make. I speak only for myself and not for the organisation that employs me. I have been a banker for some 20 years. Earlier this year, I had instructed a lawyer to commence legal action against a client of the Bank that had defaulted on its loan obligation. When the matter was set down for case management before the judge, her Ladyship indicated that she felt the case was suited for mediation and then proceeded to set another date for the same. When my solicitor informed me of this, I enquired whether there was any legal basis for this decision. I was informed that pursuant to a practice direction from the Chief Judge, judges were encouraged to pursue mediation where possible. This approach however, in the strictest sense, was not with legal basis. Frankly, in respect of this particular case, I was content to abide by her Ladyship’s direction. However, I posed this question to myself – “What if there was a point of law that I wanted addressed or a case law overturned?” Would mediation address this? As a banker, I never appreciated the Federal Court’s decision in Kimlin Housing Development Sdn Bhd v Bank Bumiputra Malaysia Berhad & Ors  3 CLJ 274. Suppose I had a case that may have given me an opportunity to revisit Kimlin and urge the Federal Court to correct (in my humble view) its earlier decision, would the calf die in the belly of the cow, the result of mediation? Similarly, would the decision in Adorna Properties Sdn Bhd v Boonsom Boonyanit  2 CLJ 133, described as perverse and beyond intelligible comprehension by lawyers and academics, and later as a ‘blatant mistake’ in Tan Ying Hong v Tan Sian San & Ors  2 CLJ 269 by the current Chief Judge, have been overturned, if mediation was prescribed in the latter case? I am advised that a litigant may refuse mediation. A new judge would then be appointed to handle the case. I only fear, perhaps without justifiable grounds, that having declined mediation, though on noble grounds, the subsequent court may be less favourable to my case. Reflecting on this dialogue, I was glad that both sides, the lawyers and the judiciary, were able to openly discuss the problems faced by the fraternity. However, as a third party, I saw swords drawn but sadly, shields were firmly in place. There was limited, very limited admission of failure on either side. Perhaps in the interest of justice, shields should be dispensed with in such dialogues. John Baptist must have been given his name to keep him out of mischief. The jury is still out on whether this has worked. He aims not to be consistent with what he has said in the past, but only with what his heart says is right in the present (works perfectly as an exclusion clause too!). He believes that he has been tarred with the same brush of imperfection as his fellow human beings, perhaps only more. He finds birds worth emulating-never gathering for the future, living only for the moment, ever ready at any occasion to sing gratefully to their Maker, building temporary homes sans foundation upon the earth and ever ready to take to the skies. He believes that we need to give up our wants so that others can have their needs. He wants an expansive, liberal and life-breathing Federal Constitution. Posted on 11 November 2010. You can follow any responses to this entry through the RSS 2.0. Read more articles posted by John Baptist.